San Francisco: Not For Sale! 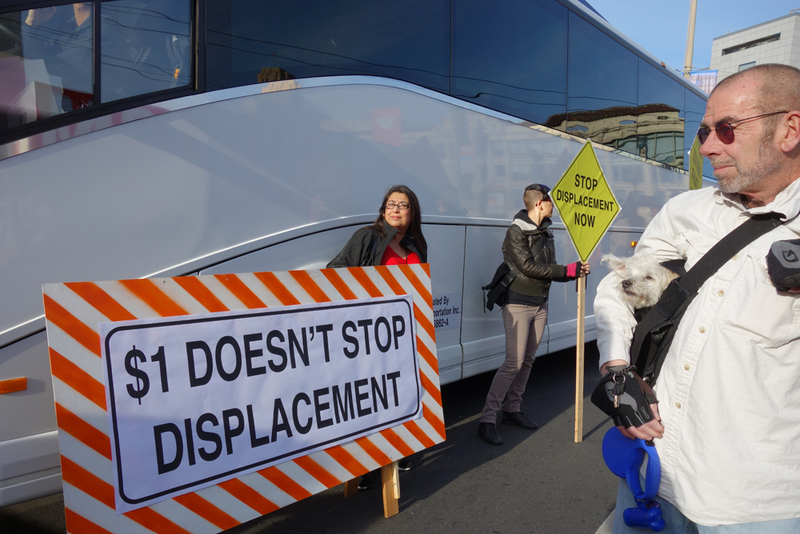 Today's three-part action highlights the collusion between tech, real estate, and city/state politics, who are together responsible for the unprecedented levels of displacement. 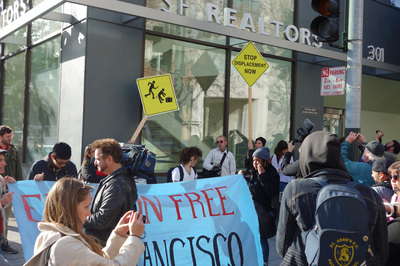 After blocking two private buses (Facebook and Google) that use the 8th and Market St. public bus stop, we marched to the SF Realtors Association and then to City Hall. 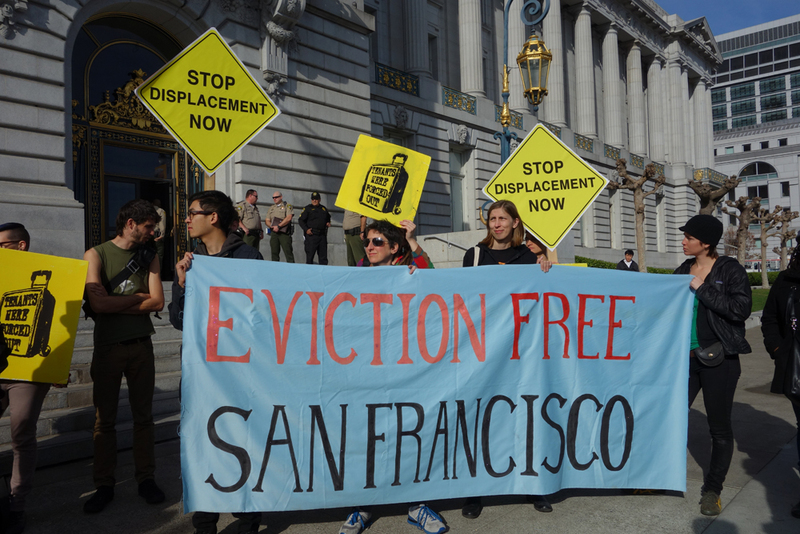 As the city gives tax breaks and the use of public assets to rich tech companies for no measurable return, evictions and rents continue to rise. 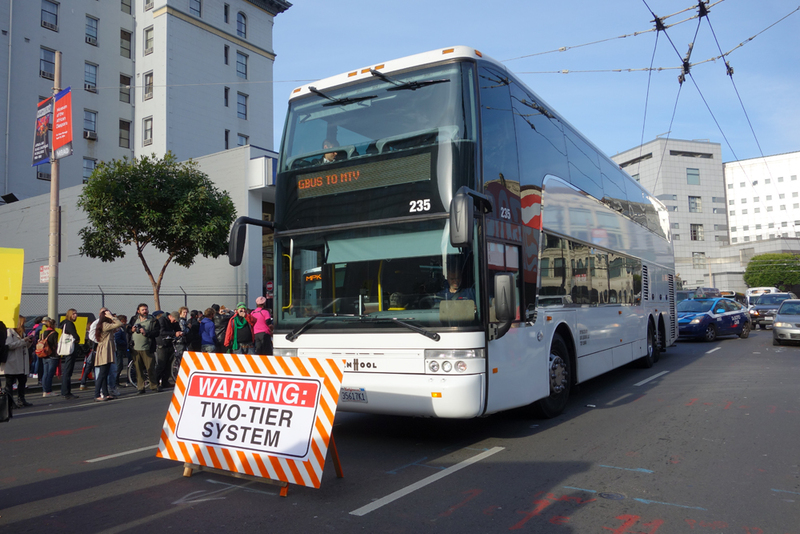 It is long past time to END THE TWO-TIER SYSTEM! Big tech exploits SF’s cultural diversity and public infrastructure (their private buses use 200 MUNI stops at no cost) to lure workers here. Real estate speculators capitalize on the influx of high-wage earners by evicting long-time residents to rent units at inflated rates (commanding up to 20% more around tech shuttle stops). 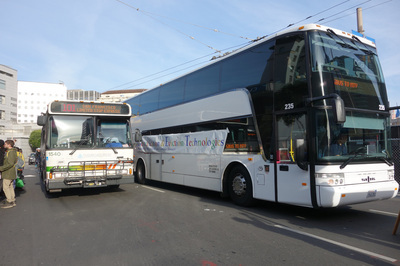 30-40% of tech bus riders would move closer to their work if not for these buses, which are, in effect, putting upward pressure on the housing market. 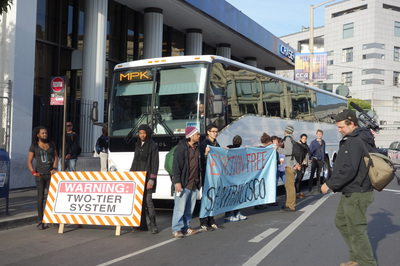 Together, both speculative industries are exacerbating the displacement crisis, devastating communities and local businesses. Tech companies pay for their impact on housing & public infrastructure. 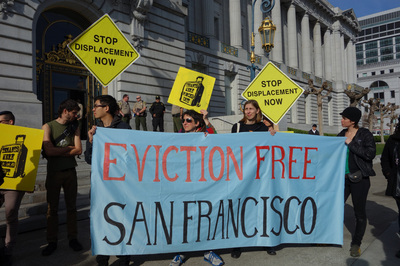 Let's fight to save our city refuge and neighborhoods!